Can you believe summer is almost over and fall officially begins this week? If you’re like me and hoping to get in a quick last minute getaway to Walt Disney World before the cold weather sets in at home, check out this amazing deal being offered now through September 30! There is still time to make plans to experience the special events being conducted at the Walt Disney World® Resort in Central Florida this fall, such as Mickey’s Not-So-Scary Halloween Party at Magic Kingdom® Park and the Epcot® International Food & Wine Festival at Epcot®. A great way to experience these events is by taking advantage of the special “Forever Fun Rates” that are being offered by the seven Disney SpringsTM Resort Area Hotels for stays from now through September 30, 2016. In addition to the outstanding special events, the rates provide the opportunity to take in such exciting new offerings at the Walt Disney World® Resort as Star WarsTM Launch Bay and Star Wars: A Galactic Spectacular at Disney’s Hollywood Studios®; Frozen Ever After and Soarin’ Around The World at Epcot®; Kilimanjaro Safaris® for a full day to night experience at Disney’s Animal Kingdom® Theme Park; and Mickey’s Royal Friendship Faire stage show at Magic Kingdom® Park. Featuring an ideal location in the Walt Disney World® Resort, these seven Official Walt Disney World® Hotels are within an easy walk to the dramatically transformed and significantly expanded Disney SpringsTM, formerly known as the Downtown Disney® area. Inspired by Florida’s charming towns and natural beauty, the vibrant new waterfront Disney SpringsTM offers a high-quality diverse mix of shops, an impressive variety of new upscale and casual dining options, and exceptional live entertainment options, with more than 150 establishments across its four distinct outdoor neighborhoods. In addition to featuring an ideal location at an outstanding value, the seven Disney SpringsTM Resort Area Hotels also provide shuttle transportation every 30 minutes to all four Walt Disney World® Theme Parks, two water parks, and to the Disney SpringsTM area. Plus, as a bonus, guests at these hotels also receive the “2016 Disney SpringsTM Passport” booklet that features exclusive discounts and specials from Disney SpringsTM merchants on entertainment, shopping and dining. Among the coupons featured in the booklet are discounts at Splitsville Luxury LanesTM, House of Blues® Restaurant, and Ghirardelli® Ice Cream & Chocolate Shop. Wyndham Garden Lake Buena Vista – rates from $62 per room, per night. For more information on the special hotel rates, or to make a reservation, please click here. The special rates are available for stays now through September 30, 2016, based on availability. Some blackout dates may apply, and availability may be limited. The rates do not include the Resort Services Fee or daily parking fee (if applicable), taxes or gratuities. The offer is not valid with any other special offers, promotions, existing reservations, or for groups. Epcot® International Food & Wine Festival – September 14 – November 14, 2016 at Epcot®. 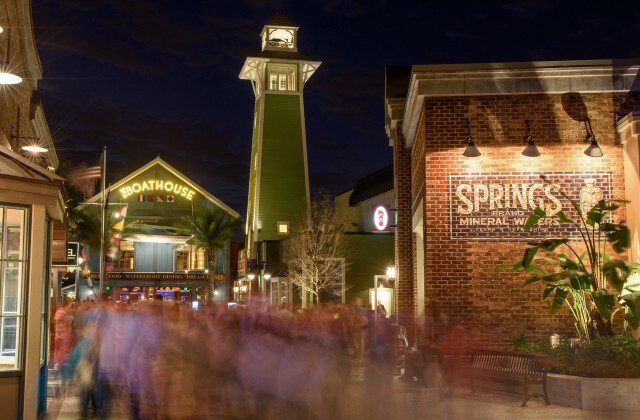 The reimagined Disney SpringsTM overflows with the sights, sounds and flavors that come together in a beautiful outdoor environment with a charming waterfront setting. 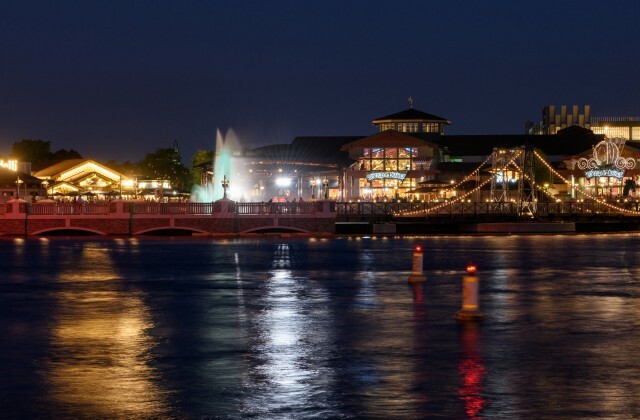 Set amid beautiful open-air promenades and bubbling springs, this vibrant destination features four distinct outdoor neighborhoods: The Landing, Town Center, Marketplace, and West Side. Nearing completion of its transformation, Disney SpringsTM already has many new offerings that are open. Among these are 25 exciting new retail tenants that opened their doors in Town Center in May, which includes: kate spade new york, Vera Bradley, Tommy Bahama, PANDORA, Under Armour Brand House, ALEX AND ANI, Sephora, UGG, TROPHY ROOM, and MAC Cosmetics. In addition, 11 new specialty dining locations also recently opened at Disney SpringsTM: Celebrity Chef Rick Bayless’ Frontera Cocina, renowned Chef Art Smith’s Homecoming, Amorette’s Patisserie, STK Orlando, B.B. Wolf’s Sausage Co., D-Luxe Burger, Morimoto Asia Street Food, Sprinkles (cupcake bakery), The Daily Poutine, YeSake, and Aristocrepes. 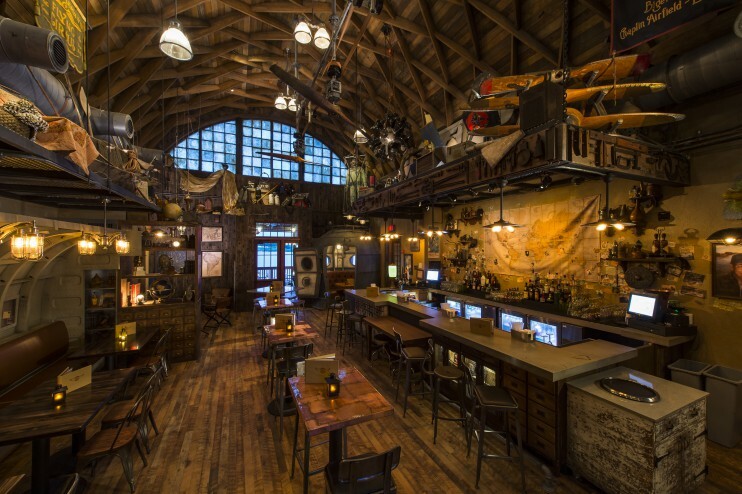 This follows such other recent openings as the Indiana Jones-themed Jock Lindsey’s Hangar Bar, The Ganachery chocolate shop, Vivoli Il Gelato (serving Italian gelato like its sister shop in Florence, Italy), Dockside Margaritas, and Erin McKenna’s Bakery NYC (which specializes in gluten-free and vegan baked goods). 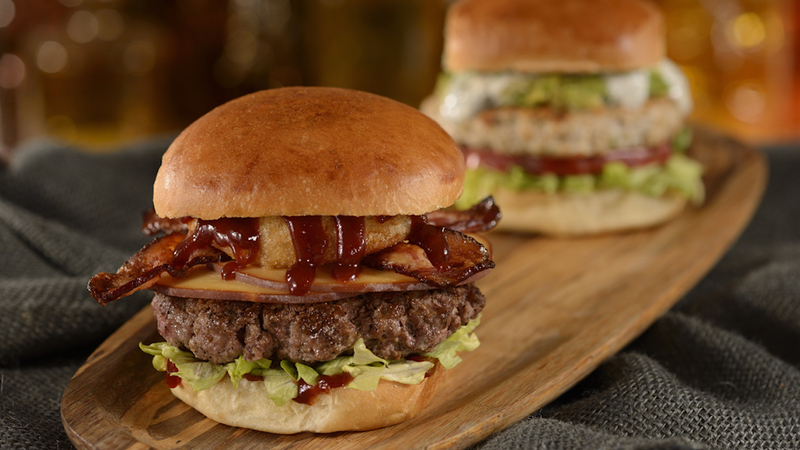 Also recently opened is Exposition Park, the home to Disney-owned food trucks, with delicious offerings from each of the Walt Disney World® Theme Parks. Plus, there are two new parking garages with a total of 6,000 spaces, and the new Village Causeway, which provides guests another path of travel through the area. Plus, a pedestrian bridge from the Disney SpringsTM Resort Area Hotels to the Disney SpringsTM area opened, making it even easier for guests. Among the many other offerings open at Disney SpringsTM are: World of Disney store, AMC Movies at Disney Springs 24, The Art of Disney, The LEGO® Store, Build-A-Dino® by Build-A-Bear Workshop®, Disney Design-A-Tee, Disney’s Candy Cauldron, Disney’s Wonderful World of Memories, Once Upon a Toy, Orlando Harley-Davidson (apparel and accessories), Steve Baker Caricatures, Pearl Factory, Starbucks® at Disney Springs Marketplace, and Shop for Ireland. Wyndham Garden Lake Buena Vista — featuring Disney Character Breakfast 3 days a week, 394 comfortable guest rooms, six dining options, and the Oasis Aquatic Pool Playground with interactive water features. With nearly 30 food and beverage outlets and restaurants, over 3,700 rooms and an array of amenities, the Disney SpringsTM Resort Area Hotels offer a rate, space and menu to please every guest. Located in the heart of the Disney SpringsTM area, these properties are within walking distance of exceptional shopping, dining and entertainment venues. Considering a last minute getaway?